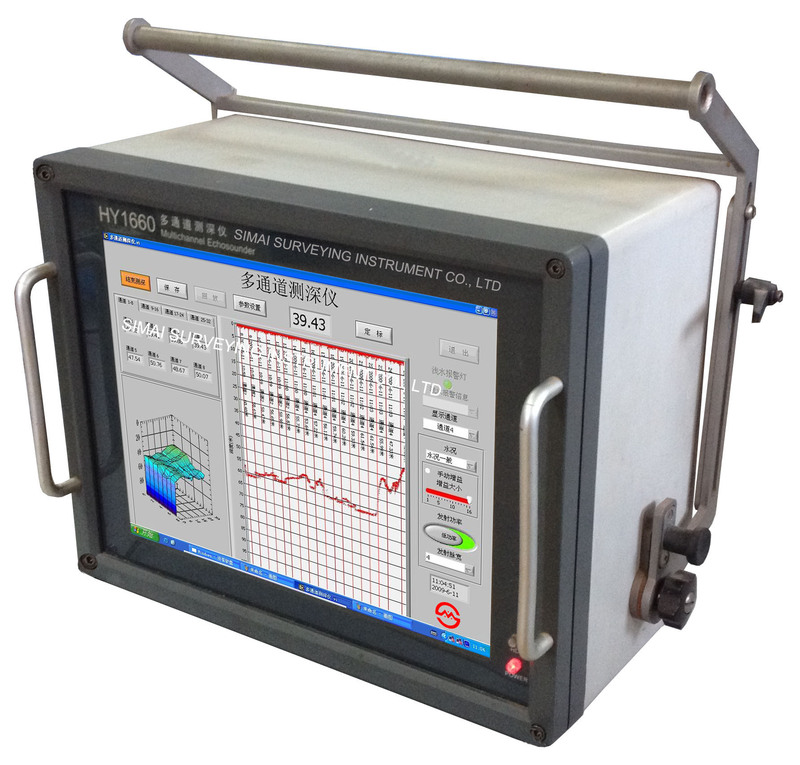 HY1660 Multi-channel Echosounder Sweep System is a hydrographic echosounder specifically designed for use in harbors,canals,rivers and other shallow bodies of water. 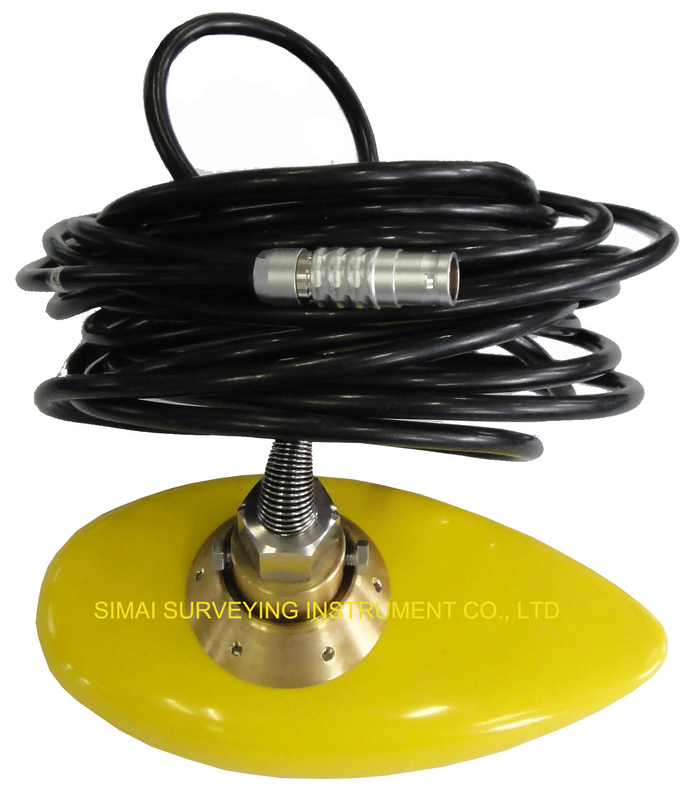 Especially for use in those application including large area shallow water surveying, detecting and locating debris or other hazards to navigation in harbors, rivers or canals, monitoring the charted safe depth of navigable waterways, monitoring dredging or underwater construction operations and so on. 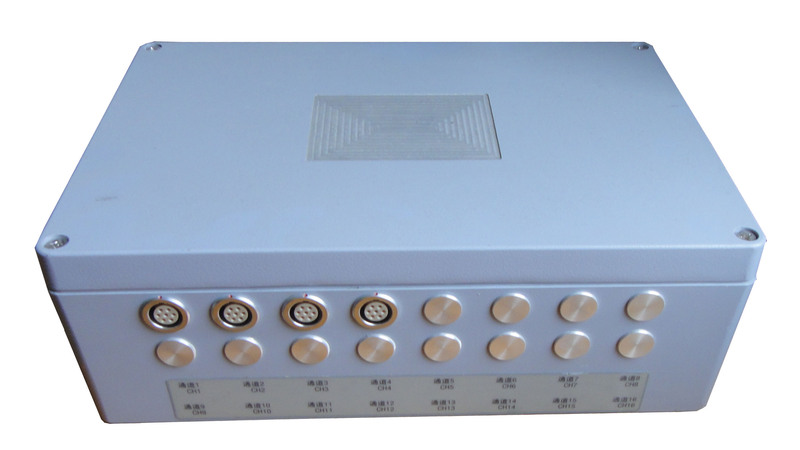 This compact multi-channel echosounder, based on Windows XP software, employs not only very reliable embedded main board and redundant RS232/422/USB ports, but also those advanced technology involving with channel control, image display and bottom detection. 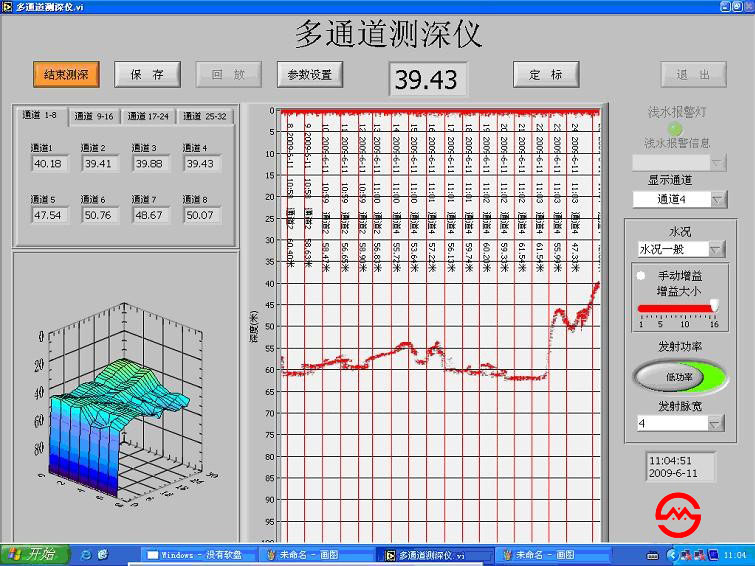 A 15inch large scale LCD display can simultaneously monitor both 2-32 channels of depth and bottom profile. 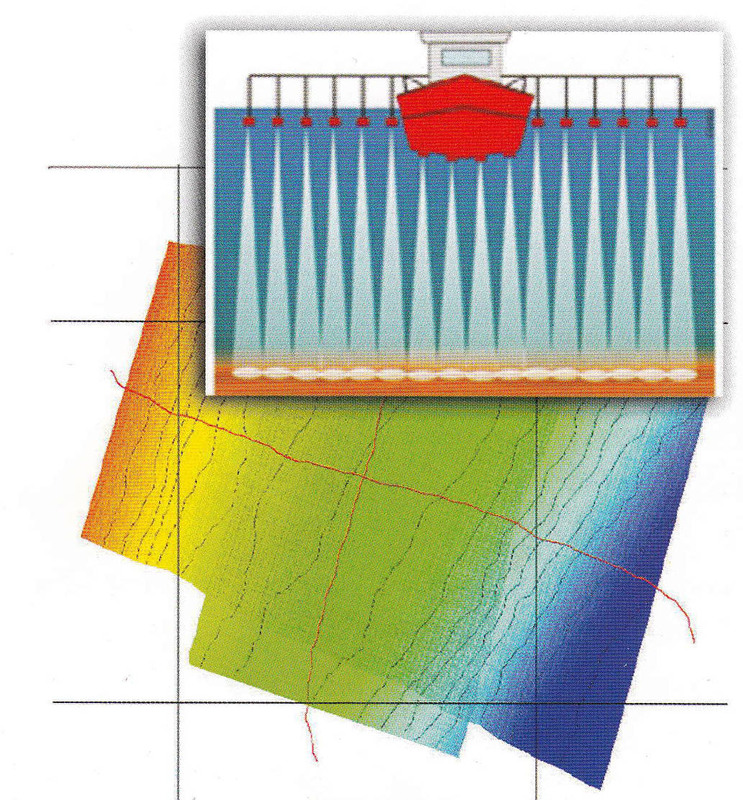 All data is shown in 3-D and in real time using a color-coded waterfall display which graphically represents areas of common depth using different colors. While sweeping depth data can be simultaneously exported through a RS232/422 port to third part survey software running on the same computer. Any motion sensors can be interfaced to have a dynamic compensation.